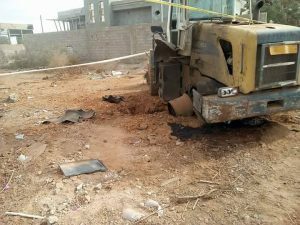 Heavy artillery was still firing tonight in Benghazi after day-long heavy fighting in which at least ten soldiers, including a commander, died trying to seize the resort district of Ganfouda from the Benghazi Revolutionaries’ Shoura Council and its IS and Ansar Al-Sharia terrorist allies. The assault began at dawn with airstrikes and advances by tanks and armoured personnel carriers. There has been bitter street fighting in which commanders say significant ground has been taken. The army claimed to have freed militant’s prisoners as it moved into a number of areas including Shara Al-Shajar and the Deaf and Dumb Institute on the Gwarsha Road. 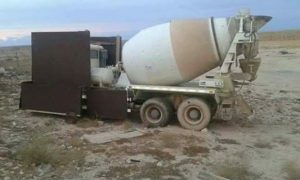 Troops also captured a cement mixer truck with an armour-plated cab before it could be used as a potentially devastating vehicle bomb. There was however a suicide car bombing in Gwarsha, where the vehicle exploded without causing casualties. The terrorists also fired further salvoes of rockets towards Benina airbase. In the course of today’s battle, a number of foreigners has fled the encircled terrorist positions. An officer in the 309 Tobruk Battalion, Munir Alkartosh, said that a Sudanese family of six and three Chadians had crossed into the army’s lines and that they had been trapped in the enclave and forbidden to leave. Charities, including Human Rights Watch have expressed deep concern for civilians caught up in the Ganfouda battle. There had reportedly been fury among commanders that overnight there was much talk on social media about the impending dawn attack. An army spokesman today asked bloggers and media to stop posting details of operations and to leave it to the army to give details of the situation on the ground. At least 31 troops have also been injured in what has been the most bloody day of fighting for some months. The army has given no figures for enemy casualties. Ambulances have been running back from the front line taking the wounded from frontline clearing stations to hospitals. The city through which the injured have been passing is oddly normal. Though palls of smoke are rising from the south-west and gunfire and explosions have been heard all day, the streets have police patrols who are giving out tickets for cars without registration plates and traffic is moving in an orderly manner. 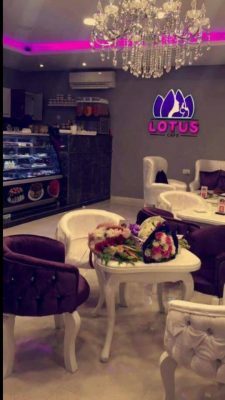 The Children’s Theatre has been running a computer technology show and a café exclusively for women, run by women has just opened in Dubai Street. Also away from the fighting, the work of mine and ordinance clearance continues. This morning a tracked vehicle was damaged when it drove over a mine on the university campus at Garayunis. Though the vehicle was badly damaged, the driver was unharmed.